The iridescent quality of this species is best displayed in water. Photos by Christina Meschkat (top left) and Gillian Harvey. 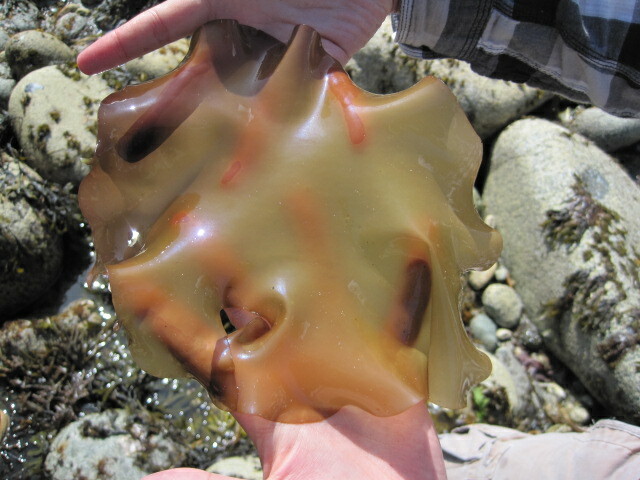 This red seaweed has a broad, flattened, but thick blade that often grows in clusters. The single blade is usually much longer (and wider) than the stipe, which gets to 6 cm long while the blade grows up to 20 cm long. In sheltered waters the blade's width can be greater than its length. This species is an iridescent red-purple to yellow-brown colour in water, but when dry it can turn to dark brown or even black. 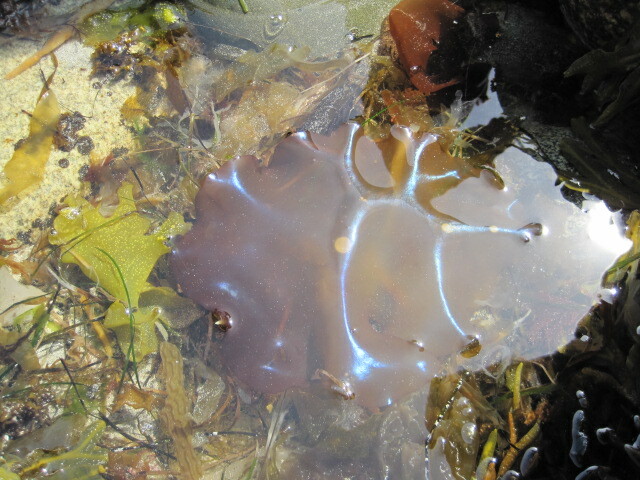 Spendid iridescent seaweed grows on rock in sheltered waters in the mid- to low intertidal and upper subtidal. It is found from the Gulf of Alaska and southeast Alaska to Mexico. This genus was formerly named Iridaea for its iridescent qualities when wet and in sunlight. Druehl, L. 2000. 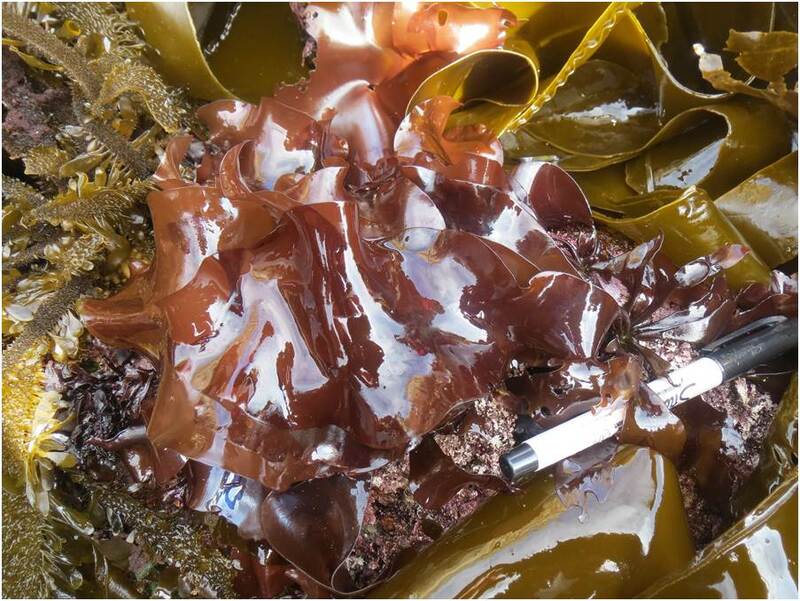 Pacific Seaweeds: A guide to common seaweeds of the west coast. Harbour Publishing: Madeira Park, BC, Canada. Pp. 116-117.